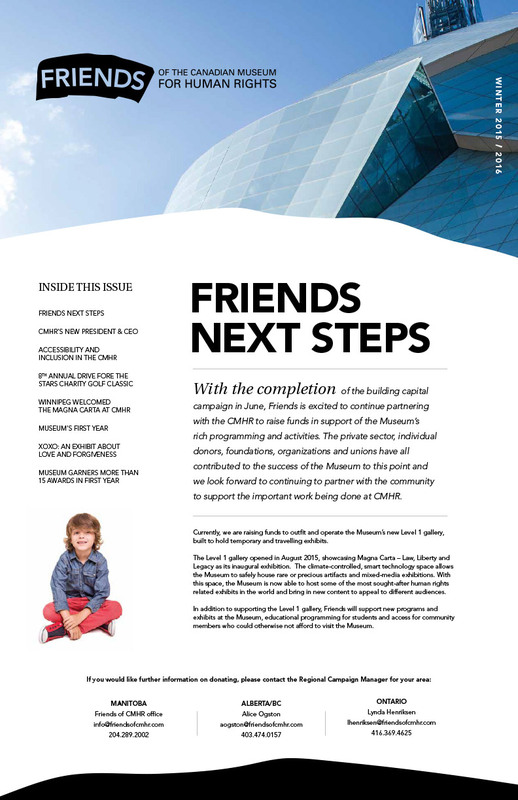 With the completion of the building capital campaign in June, Friends is excited to continue partnering with the CMHR to raise funds in support of the Museum’s rich programming and activities. The private sector, individual donors, foundations, organizations and unions have all contributed to the success of the Museum to this point and we look forward to continuing to partner with the community to support the important work being done at CMHR. Click to read the full Newsletter PDF.